Early this morning, a member of the Google Photos team, John Elstone, announced on Google+ that there are a couple of new features rolling out to Google Photos today. These features aren’t really huge additions to the service, but they are features that will definitely improve the experience that users have with Google Photos. First up, Google Photos is making it easier to free up storage on their smartphone. In the settings screen, there will be a new option for “Free Up Space”. Now essentially what this does is it allows you to delete photos that are already backed up, but also saved on your phone. So this way you are deleting photos, but they are still backed up to your Google Photos account, and you can find them very easily. It’s a great addition, especially for those that are in need of more space on their device. The second feature coming to Google Photos is the ability to delete photos from SD-card enabled devices, like the LG V10 or Moto X Pure Edition. There’s a fix rolling out that allows users on some SD-card enabled devices (read: not all SD-card devices) that will allow them to delete photos that are stored on the SD card. The point of this is to prevent the issue where photos continue to show up in the Photos app, even though it’s been deleted. Finally, Google Photos has one more goodie that will be coming to the web version of Photos on Wednesday. And it’s a good one. 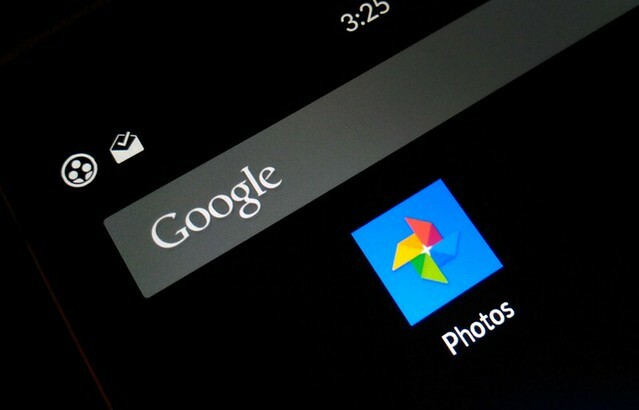 Google is adding the ability to downgrade previously uploaded photos to “High Quality”. So for those that always upload in “Original Quality” and decide you need more storage for things in drive, you can easily downgrade them to “High Quality” which will no longer count against your quota. Users can use this feature by going to the Photos website, clicking on Settings and then “Recover Storage” and you’ll be able to downgrade from “Original Quality” to “High Quality”. A great feature, especially for those that take a lot of pictures, but don’t have a ton of Google Storage space.